Roma on Riccarton Motel Christchurch Accommodation, offers soundproofed smoke-free rooms located in the heart of Riccarton. Clean, modern, spacious and well-presented studios/1 or 2bdrm Apartments to suit your needs. 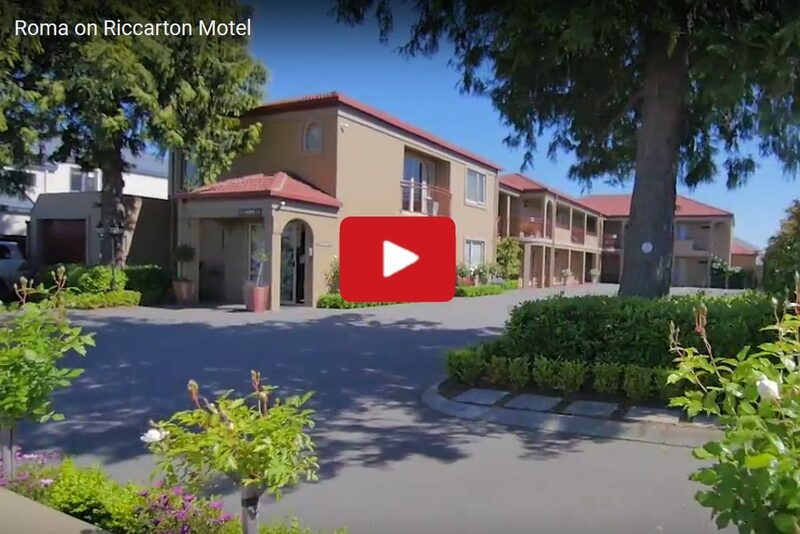 We are the perfect place to stay for tourists, corporates, weddings, anniversaries or just wanting some retail therapy at Riccarton Mall, largest in the South Island (8 minute walk). Our clean spacious modern units, are fully self-contained kitchenettes with refrigerator, microwave, twin hobs (on request). Tea and coffee making facilities, free wifi and air con. 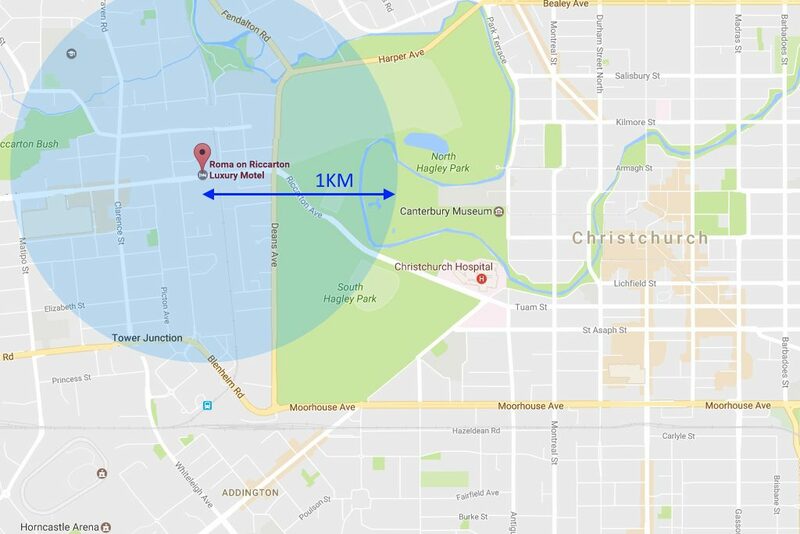 We are a central location close to so much: Botanic Gardens (1.2km), Hospital (1.3km), Central City (2.4km), Hagley Park (0.6km), Museum (1.4km) Cricket Oval, sports grounds/stadium venues like Horncastle arena. Most of which are easy walking distance away. Not forgetting the perfect day trips you can do from Christchurch such as Hanmer Springs, Akaroa, Kaikoura, Tekapo and even the Tranz Apline train ride to Greymouth and back, All awesome trips and easily done. 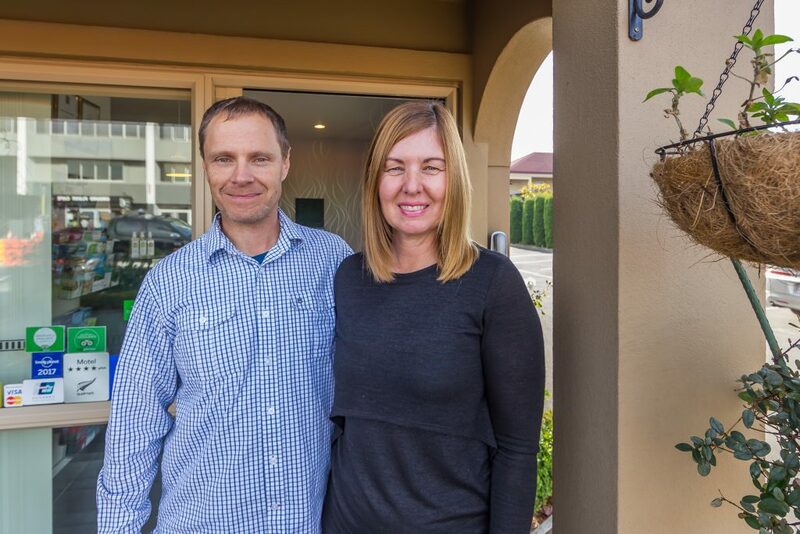 Add to that the great cafes and restaurants in the area, easy access to regular buses and Christchurch’s largest Westfield mall just down the road. This gives you the perfect location to stay for either business or pleasure. See a list of local attractions here. It’s the little things that count – like Air Conditioning in every room, Double Spa Baths, SKY TV, Awesome Internet (Wired or WIFI) super fast, Double recliner chairs, Daily Service, Sheridan Linen, Orthopedic Beds and all have Self Contained Kitchenette. Professionally made sheers on sliding doors for your privacy just to name a few great things about our complex. We also offer a guest laundry facility and a fantastic BBQ area idea for those wonderful summer evenings. We want you to be comfortable, warm in winter, cool in summer and relaxed every visit. Air Conditioning in every room means just that.